What Alternatives to Poison Are Preferred for Rodent Control? Even though rodents are extremely destructive to homes and businesses, and despite the fact that many people are genuinely afraid of them, most individuals admit that they are not fond of these tiny creatures being poisoned. People who struggle with a rodent problem want to know if there are any other alternatives to consider for rodent control. Fortunately, there are a number of rodent control products and methods that work extremely well without causing a painful death. Home and business owners always turn to a company for pest control in Toronto that uses natural remedies. Peppermint Essential Oil – One of the best pest control methods that is all natural involves placing about 20 drops of peppermint essential oil onto several cotton balls that are placed around the home, especially where you think the rodents are getting inside. Both mice and rats find the smell to be extremely offensive. Dryer Sheets – For some reason, many people find that rodents detest the smell of dryer sheets. In areas where you find droppings, simply place a few on the floor. 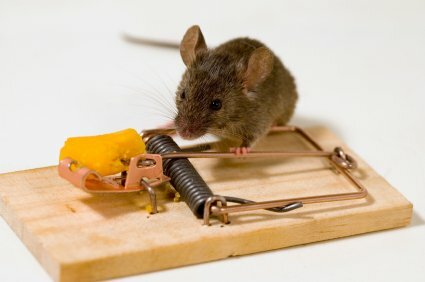 Humane Traps – If you are totally against killing a rodent, you can purchase humane traps. Once the rodent is caught, you will need to take it some distance from your home or business to be sure it does not return. If the problem is relatively bad, you can even purchase humane traps that have multiple chambers. If you want to get rid of mice or rats in your home or business but do not want poison used, you can search rodent control companies that only use natural methods. Because there are so many people who feel the same way, it is not difficult to find a company that will eliminate your rodent problem and provide advice as to how to keep them away using nontoxic solutions. Pestico is a leading pest control company that serves customers in the Greater Toronto Area. In addition to rodents, we handle other pest problems, including wasps and bees, raccoons, termites, and more. You can read about the different services that we offer by visiting Residential and Commercial Services Pages. If you are ready to get a solution to your pest or rodent problem, call us today at 416-747-7378.